The Yankees came back to earth since I last time I blogged about them. The high that we all had after the Yankees beat the Cubs in 18 innings which completed a three game sweep of the World Series champions, is slowing dragging out. The Yankees have lost five of the last six games since the sweep and the expectations of this season are becoming more realistic. The Astros are the best team in baseball, the Yankees were in every game in the series, which is a great barometer for the Bronx Bombers. The starting pitching which was an issue coming into the season, still remains an issue for them. Masahiro Tanaka and Luis Severino are still very inconsistent and no one has any idea what to expect them from every start. Tanaka got destroyed on Sunday Night, though the offense recovered late in that game, the poor start kept them from winning the game. Chance Adams, who is going to be a future star of the Yankees’ rotation, is making his way through the Yankees farm system. Veterans like Tanaka, Michael Pineda, and CC Sabathia need to prove they are still good otherwise they might lose their spot in the rotation. Sabathia, who has not been good in the last few starts, might have his contract bought out by the Yankees if his struggles continue. The offense is still overachieving and it is being carried by many different players. Aaron Judge who was on pace to put up astronomical numbers, has fallen back to earth. Judge has hit 1 home run in the past 9 games and has started to chase pitches outside of the strike zone, which were the main reason for his struggles last season. Players like Castro and Hicks are having career best seasons, it is not likely that their run will continue for the rest of the season. Veterans Gardner and Holliday continue to contributors to the offense and are the most reliable players on the offense because they have a proven track record. The Yankees have a cupcake schedule coming up for the next couple of weeks. They are playing teams that are either in last place or in fourth place of their respective decisions. 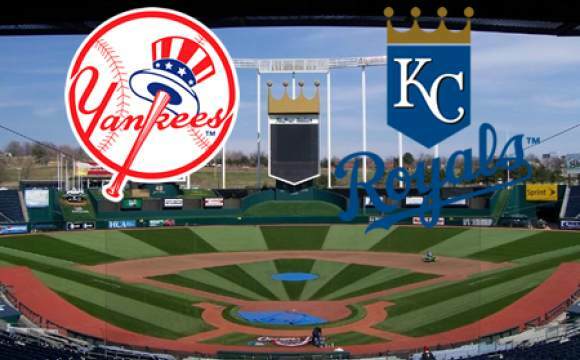 The Royals are among the teams that the Yankees play in this soft part of the schedule. The Royals, who won the World Series a couple of years ago, is among the worst teams in baseball and look like they will have a really bad season. The Yankees, who are still in first place despite their struggles, need to win the next few series if they want to be taken seriously. The expectations of the Yankees this season have changed and they look like a true playoff contender.